Valid HTML 5 Template Super Fast Loading. 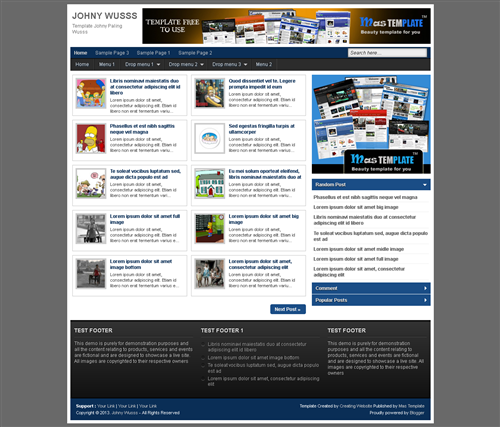 Johny Wuss is simple template for better SEO with elegant looks. There's no specific feature in this template. It's a white and black and blue color with 3 column blogger with 1 right sidebar and 3 column footers. This template suitable for all type of content blog especially for daily blogs updates. Feel free to use this and I hope you enjoy it and happy blogging.